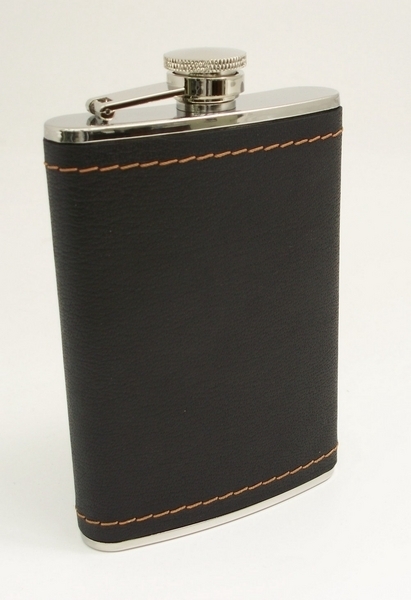 8 oz., leather bound flask - stitched, stainless steel, captive lid. Gift boxed. Choose from the Available Options above. 8 oz., leather bound and stitched, stainless steel flask, captive lid. Gift boxed.